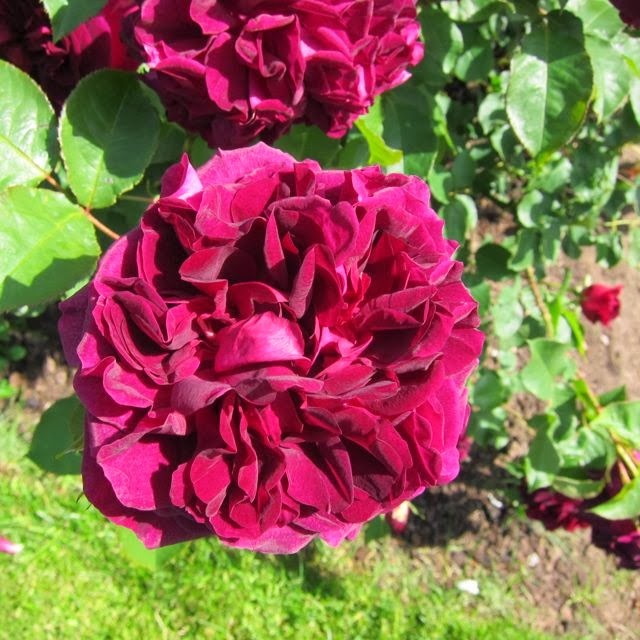 Hoe hoe grow: New Year Resolutions - grow more roses. And repeat! I share your addiction. It would be no good forming a self help group we would just egg each other on. At our new place I put roses on year two of our plan. I could hardly believe it myself but I know once started it will demand all my attention. Plus the spot I envision for some of them has a large, abandoned hot tub in residence and somehow I have to get rid of it. A Self help group would just mean that we helped ourselves to MORE, I'm sure ! Will yours be David Austin, or Old roses, Susan ? Looking at the roses from inside the hot tub could be a plan ?? I have a thing for old roses. Tea roses were just about impossible on the prairies, Way too cold. Here on the coast it should be better. Agreed. This is the kind of resolution I can get behind! 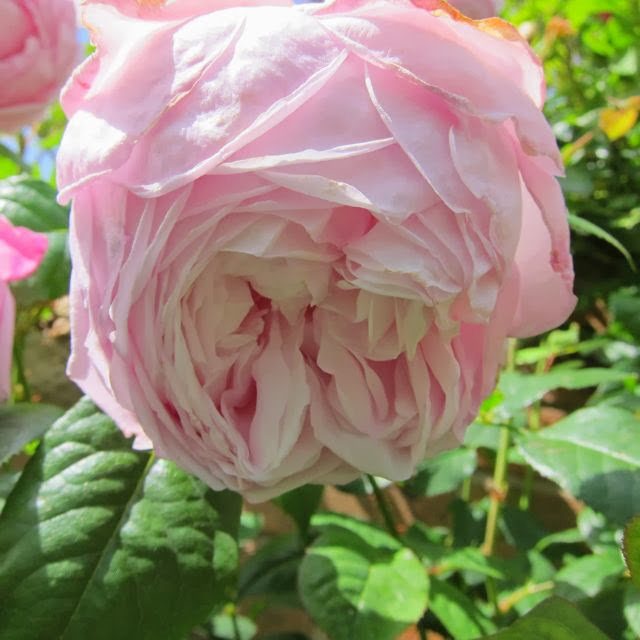 Hi there Professor - I will be hopping over to your blog for info on the Old roses !! I have yet to really get attached to roses but when we bought our old house roses came with the place and I've grown to liking them. I assume they are old roses, planted who knows when. they require no effort from me at all, tons of blooms, amazing smell. hard to dislike a flower that is so exuberant with no help at all. Some of them resemble your Chianti in the photo above actually. Is that an older type? They sound absolutely perfect Marguerite. Very possible that they are Old roses, but I suppose they are difficult to identify. I love, love Roses, too! I don't have many in my garden because I don't have enough sun, but I love to photograph them (and frankly, just stare at them)! I'm obssessed, too. You have some beauties there. I like your resolution! Happy New Year! Hi Plantpostings. It is such a shame that they like sun so much. I too have shady areas which they would not prosper in, but it seems such a waste !! Oh how I envy you. My dream garden is a traditional English garden with roses and hollyhocks. My real life garden is nothing like that, since it's in hot and humid North Carolina. Yes you can grow roses here, but they never look the way they do in English gardens. I totally approve your New Year's resolution. Hi Sarah. Shame you can't grow roses the way you would like to, but I bet there is a whole bunch of things that flourish in your hot and humid climate! Ah-h-h roses ... I remember them in my English garden ... always growing beautifully. I'm sure your order will arrive soon and you will be happily planting roses. Hi Linda. Happy New Year to you! The order has arrived and I will be donning my wells tomorrow and venturing out to plant them. I'd love to grow roses, but unfortunately I don't have the space for it. I have dreams of plucking a few from the garden and giving them to my other half, so that way I don't have to go to the shops and buy some ha ha. Hi Thomas - you'd think it would work that way, but I can't actually bring myself to pick any of them ! I still end up buying them from the shops even though I have loads in the garden ! I adore roses and, like you, I love the old roses because they have so much romance about them. 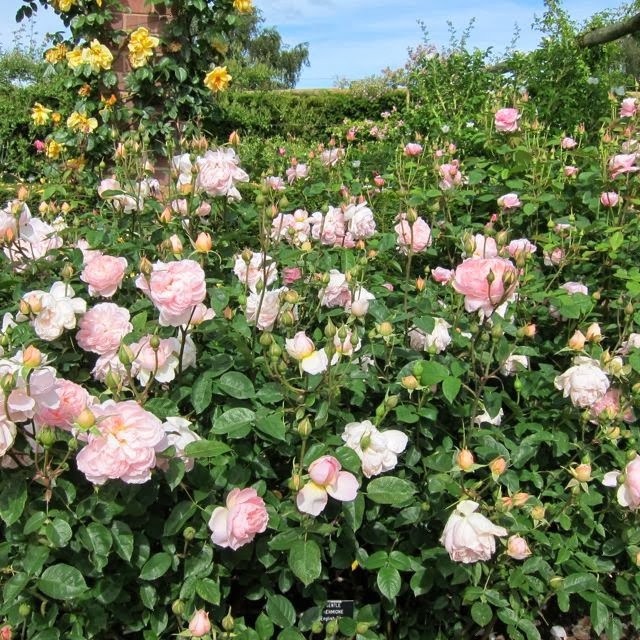 A dream come true would be to have a large rose garden looking glorious in the summer! I adore the old roses. They need such little care compared to the newer varieties. I think this is a fabulous resolution. I have run out of room so no more roses for me. :( Have fun with your new acquisitions. To me, there's nothing prettier than a garden filled with blooming roses. You don't need help!! I just wish I could grow as many roses as you do. Yours are spectacular!! I have only just started the beginnings of my Rose Rescue Plan after fighting - and losing - a horrific war against black spot fungal disease last summer. How do you control black spot? Is that a problem in your climate? 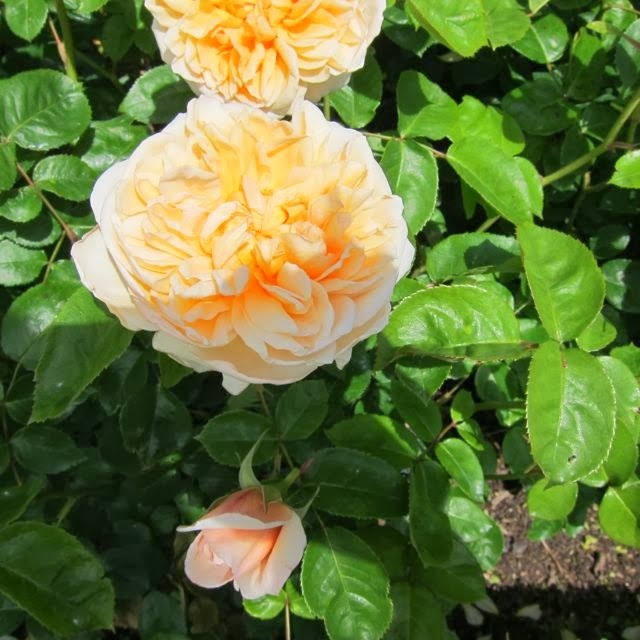 Here are my David Austins roses: Sceptre d'Isle, Jude the Obscure, Wm. Shakespeare 2000, Graham Thomas, and Abraham D'Arby. Hi casa Mariposa. I have to confess that the roses in this particular post were in the David Austin garden, not mine. It is the most heavenly place in the world to visit. I do have about 50 of my own though, funnily enough, including all the ones you mention. All gorgeous ! My absolute favourite is Woolerton Old Hall . You don't need help. A girl can never have too many roses. The old fashioned roses are divine and they do have such lovely names. 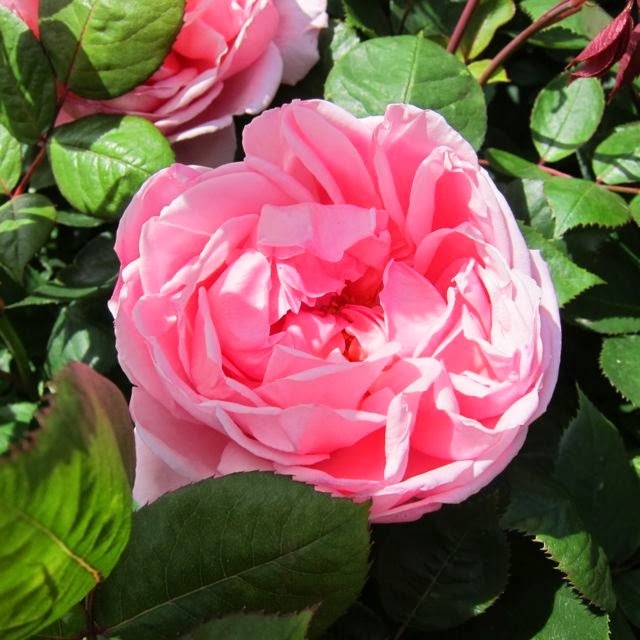 David Austin roses are heavenly too.Some roses are more susceptible to black spot than others, I have weeded out those that suffer too badly. Each year I buy more roses, if you run out of space you can grow them up trees. 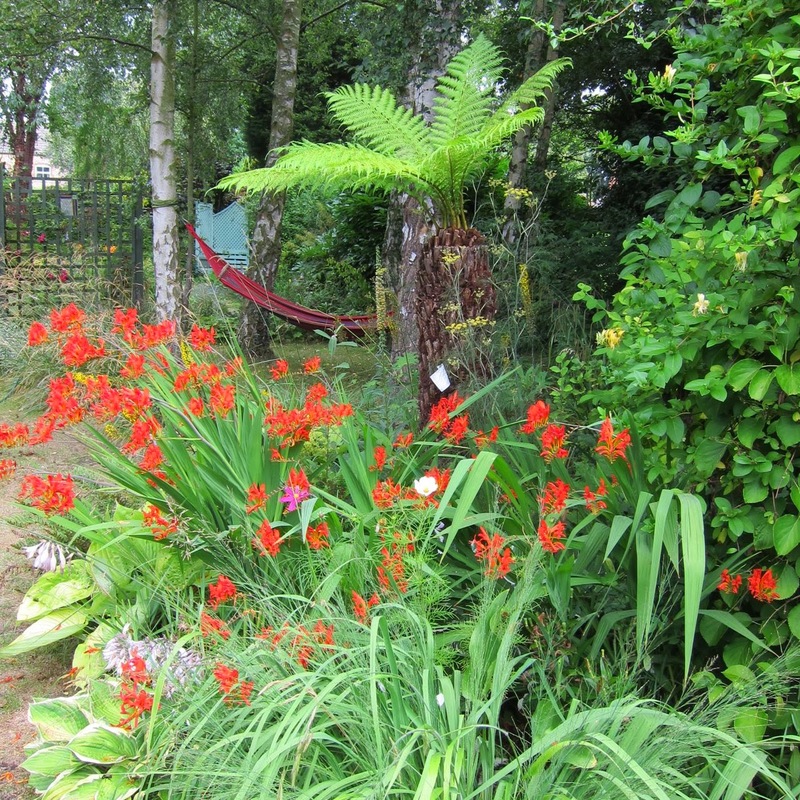 Hi Bloominggarden and thanks for your comments. 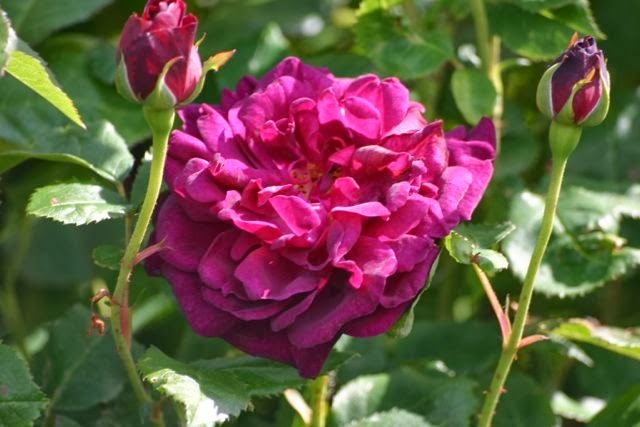 Like you I try to grow the ones which are not susceptible to blackspot and, although I do try to garden organically, my guilt secret is that I did creep out once or twice last year with a blackspot spray !! Ssshh !! Wow, great roses, so stunning! I really love the shepherdess. Enjoy to follow your posts. Hi Endah and thankyou for your comments. I love The Shepherdess too !! Your roses are beautiful..especially love the Spirit of Freedom. I have a feeling you will have no problem keeping this resolution...and a good one too! 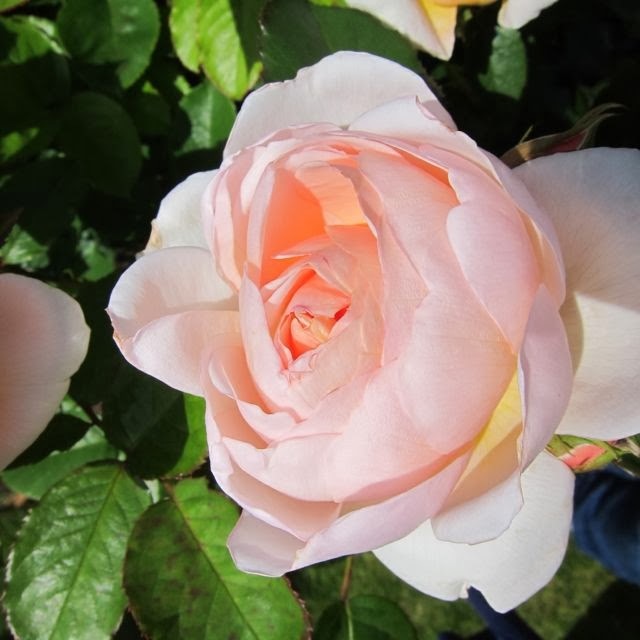 The ones in the photos are not mine sadly, but were taken at the David Austin Rose nursery. All hail !! I love Spirit of Freedom too and it is definitely on my wish - list.